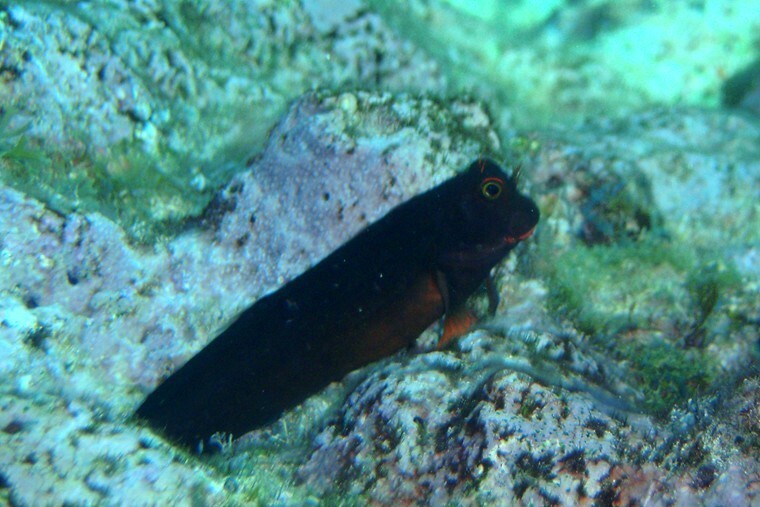 This is Redlip Blenny about 4 inches. Photo by Rod 02 February 2008 in about 20 feet water. 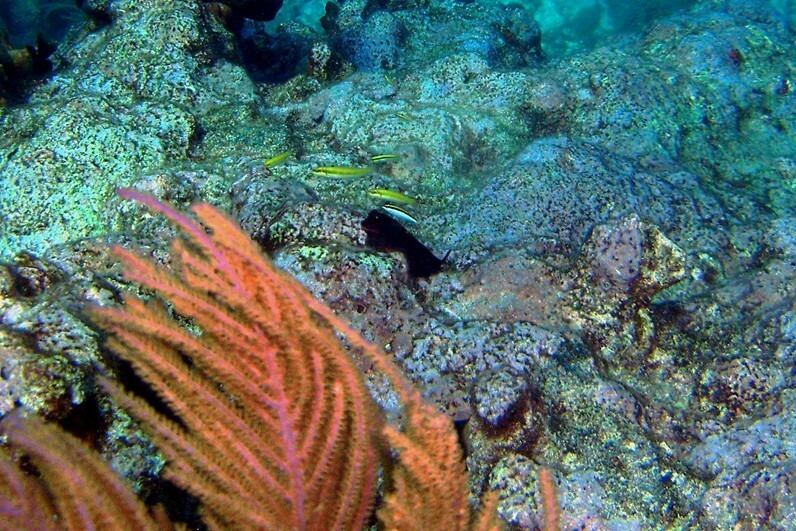 Location was Mike's Wreck, Key Largo, Florida. Description: Vary from dark reddish brown to bicolor with gray or nearly all gray, most commonly bicolor; Pectoral fins and upper border of of tail may be edged and tinted with yellow to gold or red. ; lips often are Red.